Yesterday, we published the first of three parts in this series considering the preventable causes for this disappointing Cubs season. Identified in that part were two pitching-related causes: the domino effects of Tyler Chatwood’s poor pitching, and a bullpen that quickly found itself logging too many innings while striking out too few hitters. Today’s entry focuses on a position on the field—catcher—that the Cubs handled poorly in the offseason and throughout 2018. Did you do it? If not, I don’t blame you. It’s a fright. After logging 711 plate appearances across 2016 and 2017, Contreras boasted a .278/.356/.494 batting line. Along with his strong arm, solid blocking, and improving game calling, this made Contreras one of the two- or three-best catchers in the National League. This season, he’s submitted 526 plate appearances of .254/.345/.392 hitting, a cratering of power that’s difficult to imagine coming from the precocious catcher with the loud bat. Some have hypothesized about Contreras’s disappearing power, with analysis of his swing plane and batted ball profile. I’m inclined to buy into that posited by our own Sam Fels: Contreras is simply exhausted because Joe Maddon has ground his Tools of Ignorance into a paste. 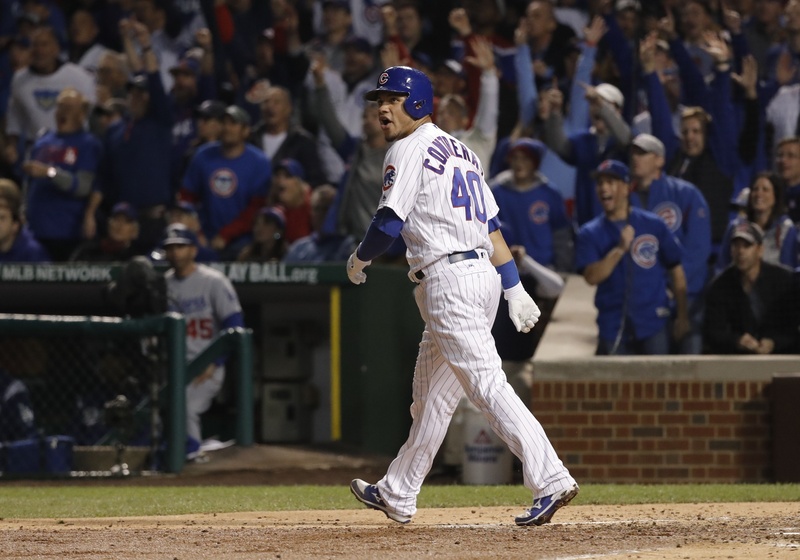 Contreras has outpaced his closest backstop peer, Jonathan Lucroy, by 21 innings caught this season; he and Lucroy are the only two catchers to log over 1000 innings in 2018, although Yasmani Grandal and Yadier Molina are poised to eclipse 1000 this week. This, after Contreras caught 821 innings last season and only 390 major-league innings in 2016. That’s a large increase in innings at the highest level, even for a player who has fewer catcher innings in his pro career due to a late positional change. In an interview with La Vida Baseball, Contreras mentioned several times the toll that switching to catcher took on his body: “I think it still hurts, especially the next day after a long game.” We know Contreras is an unusually hard worker, but, as Fels noted in his recent piece, very few catchers have been able to take a beating over as many innings as Contreras and still produce anything with the bat. There’s a reason we don’t see iron men catchers like Johnny Bench anymore, and it’s not due to changes in the character of baseball players—we know they’re more mentally steely than ever, and that they take care of their bodies better than ever. So, Contreras catching so many innings, and at a breakneck pace early in the season, almost certainly had a strong negative effect on his offensive performance. The question is, was there any way to prevent this? Contreras is one of the best catchers in the league, so the Cubs surely want him to play as much as possible, but, as we’ve seen with the team’s catching situations in recent years, they rarely run one backstop out there for a majority of the season. This table shows how many games in which the top-three catchers for each Cubs team since 2015 have appeared (on defense, as a catcher), plus the number of games in which any other catcher appeared in the last column. Right away, you can see how much different 2018 has been from the other three seasons. For two seasons, the Cubs split catching duties between Miguel Montero and David Ross, a staunch defensive pairing with sensible platoon splits and good rapport with the pitching staff. Contreras entered the picture midway through 2016, and spelled the two veteran catchers down the stretch while appearing in left field often. By 2017, Ross had retired, and Montero quickly fell out of favor as the backup, leading to a deadline trade for Alex Avila and a waiver acquisition of René Rivera. Montero, Avila, and Rivera combined to appear in 76 games at catcher. Contreras missed time down the stretch last year, not appearing in any games between August 8 and September 12th. This year, Contreras has started 119 games and appeared in 129, a large increase from last season. From the beginning of the season through April 20th, Contreras appeared as a catcher in every Cubs game but two. His backups—first Victor Caratini, then Chris Gimenez, then Caratini again—have only appeared in 45 games total at the position. Caratini only appeared in 11 games at catcher before being demoted to Iowa in favor of Gimenez, but Gimenez then appeared in only 10 games before being jettisoned at the end of June, never to return. After each of their demotions, Contreras caught a bunch of games consecutively: from the second game of May 19th’s doubleheader through May 27th, and then from June 30th to July 6th, Contreras caught every inning, with one off day in each stretch. By the All-Star break on July 16th, Contreras had appeared at catcher in 79 of 93 Cubs games, 73 of them starts. Since, he’s caught in 49 of 64 games, including 22 complete games at catcher in August. Clearly, Maddon didn’t trust Caratini or Gimenez to spell Contreras as a starter more than once a week, at least until the end of August, when he was all but forced to give Caratini some starts due to Contreras’s abysmal hitting. Jerking Caratini around early was probably a bad idea. Not only did he not get the plate appearances necessary to get in a groove at the major-league level, but he didn’t get the opportunity to develop relationships with the pitchers. The fact that Gimenez only appeared in 11 games (once as a pitcher) tells you all you need to know about him. Were there veteran backup options available on the free agent market or via trade? Absolutely, if you didn’t trust Caratini to handle the pitching staff. Jonathan Lucroy, coming off of a poor season split between Texas and Colorado, was available for just money, and his eventual contract was for just one year. Lucroy hasn’t hit well in a full-time job in Oakland, and his framing and defensive numbers have gone south quickly (although one should probably rely on the word of evaluators in such a small sample), but the Cubs can afford to spend a few million dollars on a backup to spell Contreras. Also available were Avila and Rivera, who signed for two years/$8.25 million and one year/$2.8 million, respectively. Chris Iannetta, Nick Hundley, and Eric Kratz round out the “cheap, but old” squad, and old friend Welington Castillo signed with the White Sox for two years and $15 million. Eventually traded at the deadline was Wilson Ramos, who has been stellar for the Rays and Phillies; Ramos was traded for cash or a player to be named later. I don’t know that any of these options would have performed better than Caratini (in fact, I doubt most of them would have), but they would have offered a steadying, veteran presence behind the plate that Maddon would feel comfortable deploying. If there was a breakdown in communication between Maddon and the front office regarding the backup spot, it cost the team quite a bit—impacting the team more than one would imagine a backup catcher spot could. There was a failure on two levels, then: first, at the front office level, when Theo Epstein and Jed Hoyer failed to acquire a solid, veteran backup, and then at the managerial level, when Maddon refused to play anyone but Contreras for large portions of the season. There’s also a strong possibility that hitting coach Chili Davis’s work with Contreras has not been helpful, which appears to have been the case for every Cubs hitter besides Jason Heyward. Contreras acquitted the Cubs skipper when he ended up in the All-Star Game—homering on the first pitch he saw, no less—but his second half is an indictment of Cubs brass as much as it is of himself. It’s no wonder why Contreras is visibly exhausted, and why that would affect his hitting so acutely. 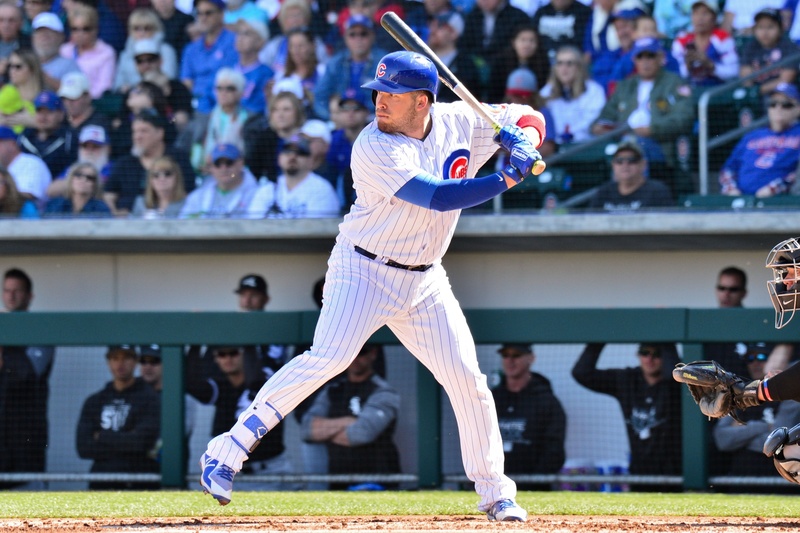 To essentially lose a hitter of Contreras’s quality while also weathering an injury to Kris Bryant and fading offensive production from Albert Almora, Heyward, Ian Happ, and Kyle Schwarber had a significant effect on the offense in the second half. In what was supposed to be the Year of Contreras, we received only half a year of Contreras and half a year of… something quite different. The finale of this series will examine the outfield situation: its potential, its obvious limitations, and the over-reliance on young hitters’ development that could have been mitigated by a key acquisition.